As part of the TradeLens early adopter program, IBM and Maersk also announced that 94 organizations are actively involved or have agreed to participate on the TradeLens platform built on open standards. The TradeLens ecosystem currently includes ports and terminal operators. Roughly 234 marine gateways worldwide have or will be actively participating on TradeLens, the companies said in a statement. TradeLens uses IBM Blockchain technology as the foundation for digital supply chains through real-time access to shipping data and shipping documents, including IoT and sensor data ranging from temperature control to container weight. Using blockchain smart contracts, TradeLens enables digital collaboration across the multiple parties involved in international trade. The trade document module, released under a beta program and called ClearWay, enables importers/exporters, customs brokers, trusted third parties such as Customs, other government agencies, and NGOs to collaborate in cross-organizational business processes and information exchanges, backed by a secure, non-repudiable audit trail, according to the companies. 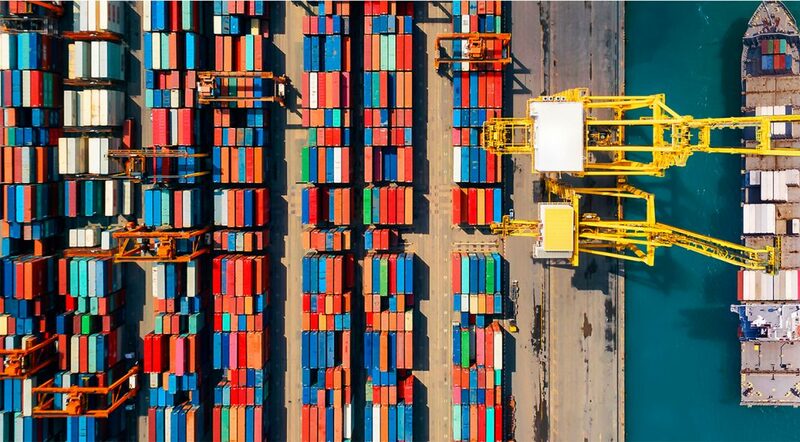 More than 154 million shipping events have been captured on the platform, including data such as arrival times of vessels and container “gate-in”, and documents such as customs releases, commercial invoices and bills of lading. This data is growing at a rate of close to one million events per day, says the companies. The TradeLens solution is currently available through an early adopter program. The solution is expected to be commercially available by the end of the year.